As an admission-free establishment, the museum relies heavily on many different avenues of financial support. 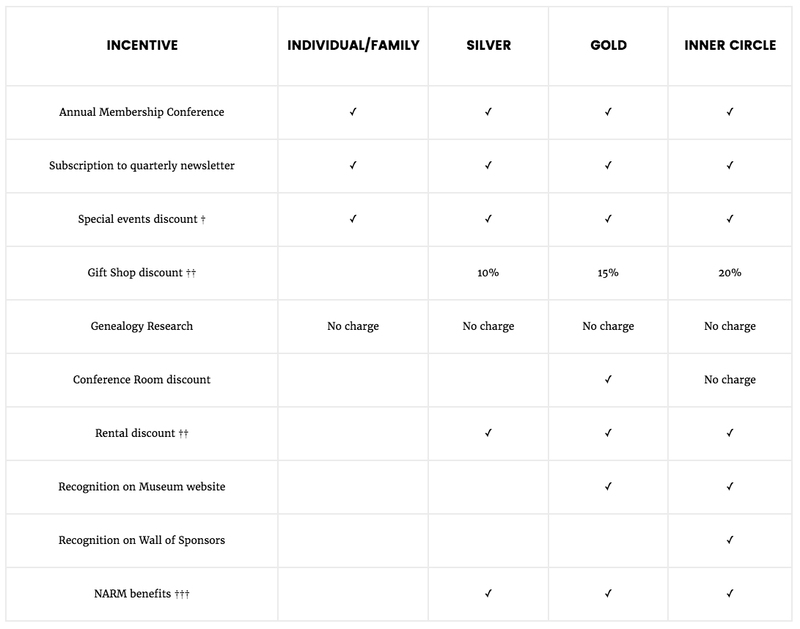 One of those avenues is our membership program, which offers guests an opportunity to support the museum on an annual basis while receiving exclusive benefits in return. The museum offers a variety of membership levels that work with any budget. Which one works for you? The South Boston – Halifax County Museum provides every possible opportunity to teach visitors about our community. Your membership allows us to provide kids from Halifax County a place to learn and play. We are committed to engaging everyone in the community, no matter who they are. Because we are handicap accessible, each year nearly one dozen disability resource centers in the Southside Virginia area utilize the museum. † “Special events” denote admission-based events facilitated by the museum. †† Discount amounts may vary. The final incentive will be based upon the profitability of the museum, the availability, and the nature of the request. ††† Includes incentives affiliated with the North American Reciprocal Museum Program (NARM), which offers exclusive benefits to more than 970 museums and institutions across North America.